THE ANNUAL FLAG SUBSCRIPTION IS $75.00 FOR EACH US AND TEXAS FLAG. YOU MAY ORDER AS MANY FLAGS AS YOU WISH-EITHER US OR BOTH US AND TEXAS. THANK YOU. 1. PLEASE CLICK ON THE PAYPAL SUBSCRIBE BUTTON BELOW AND FILL IN ALL YOUR INFORMATION AND CHOOSE YOUR PAYMENT METHOD. NOTE-BE SURE TO INCLUDE YOUR FLAG LOCATION ADDRESS IF YOUR BILLING ADDRESS IS DIFFERENT THAN YOUR DESIRED FLAG LOCATION. 2. ALSO IF YOU WISH YOUR FLAG TO BE PLACED SOMEWHERE SPECIAL IN YOUR FRONT YARD INDICATE WHERE IN THE SPECIAL FLAG LOCATION BELOW AFTER YOU SELECT THE NUMBER OF FLAGS YOU ARE ORDERING. NORMALLY THE FLAG IS PLACED BETWEEN THE STREET AND YOUR SIDEWALK. 3. AFTER YOU SUBMIT YOUR PAYMENT, PAY PAL WILL NOTIFY OUR FLAG TEAM CAPTAIN OF YOUR ORDER AND A BEAUTIFUL AMERICAN FLAG WILL BE PLACED IN YOUR FRONT YARD ON THE NEXT HOLIDAY. IF YOU WISH TO MAKE ANY CHANGES TO YOUR ORDER, PLEASE CONTACT OUR FLAG TEAM CAPTAIN AT 713-824-3824. 4. FOR YOUR CONVENIENCE YOUR SUBSCRIPTION WILL AUTOMATICALLY RENEW IF YOU USE A CREDIT CARD WITH PAY PAL. IF YOU WISH TO CANCEL YOUR SUBSCRIPTION BEFORE YOUR ANNIVERSARY DATE CONTACT OUR FLAG TEAM CAPTAIN. 5. 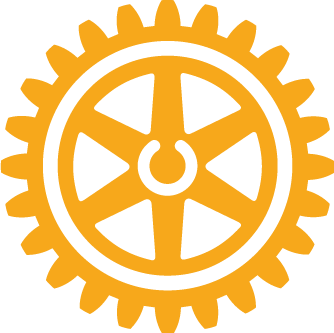 THE ROTARY CLUB OF UNIVERSITY AREA HOUSTON APPRECIATES YOUR PARTICIPATION. 100% OF THE SUBSCRIPTION GOES TOWARD OUR CHARITABLE ACTIVITIES. PLEASE REFER YOUR FRIENDS AND NEIGHBORS. ONCE AGAIN THANK YOU. HOLIDAY TO START FLAGS WILL BE THE FIRST HOLIDAY AFTER RECEIPT OF SUBSCRIPTION OR CHOOSE HOLIDAY. PRESIDENT'S DAY-FEB.. MEMORIAL DAY-MAY INDEPENDENCE DAY-JULY VETERENS DAY-NOV.